Moving an entire house was beyond our imagination a few years back but now it has transformed into reality. It is now possible to relocate an entire house at our wish. We spend a lot of our hard earned money in constructing our dream house. At that moment it becomes difficult to ascertain the changing environment of our current house location over the next 10-15 years. We often want to shift from our current neighbourhood to a better locality at a later stage which will be convenient for us to reside. After checking out the necessary criteria that will allow relocating the entire house it is important to figure out the budget required for this process. 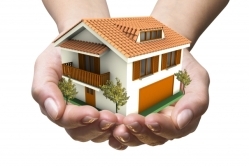 To get proper guidance consult professional home movers to carry out such activities easily. There are several factors that should be taken into consideration while estimating the budget. The size of the house is a major issue in calculating the cost of moving the house. The bigger the house, higher will be the cost of relocating it. Small houses are easy to move and require less labour in moving. The height of the house is a major concern. The condition and structure of the house should also be viewed. Old houses are difficult to relocate as they can easy get damaged when moved. Advanced equipment is used by contractors like home movers which can assist in such situations. It is also important to evaluate the original value of the house. Thoroughly examine the proposed moving area. All these will help in taking the right decision about relocating the house.